A Turkey Sundae (!!!) 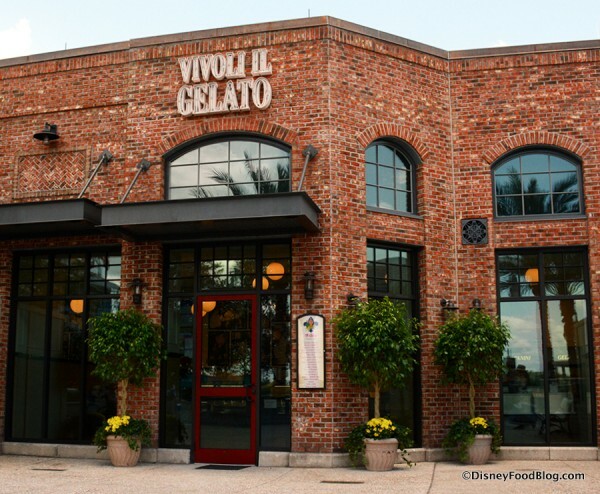 Debuts in Disney Springs in Time for Thanksgiving! You’ve got to see this dessert to believe it! It is picture-perfect! If you’re celebrating Thanksgiving at the Happiest Place on Earth, we’d like to let you know about specialty offerings on the menu on Thanksgiving Day only at Cafe Orleans! 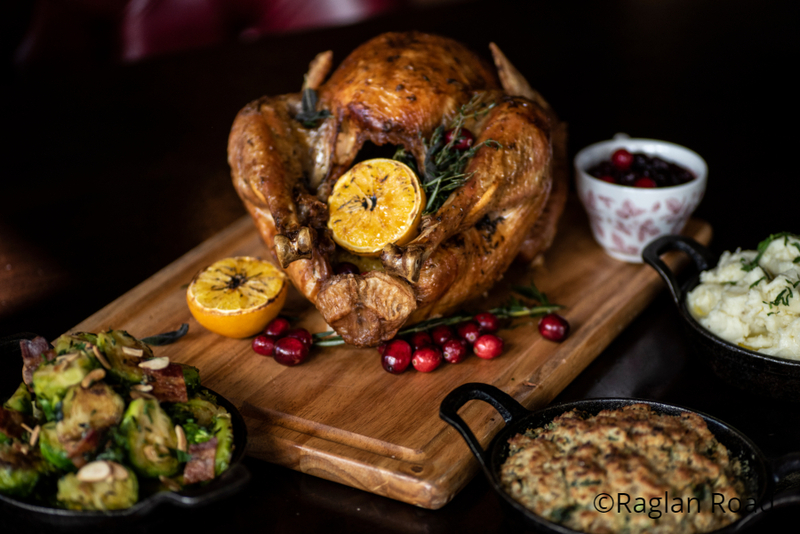 Are you already stuffed with turkey, or are you looking for a way to get your traditional fix? Our Dining in Disneyland expert Heather Sievers swapped coasts for a visit East — yep, she’s makin’ the rounds in Walt Disney World this week! And she couldn’t resist the opportunity to stop by Disney Springs and check out all that’s new in that neck of the woods. 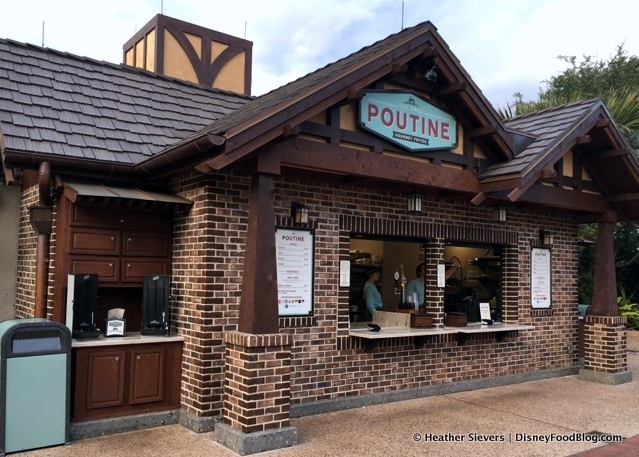 And of course, that meant checking out a few of the new stops, like The Daily Poutine. 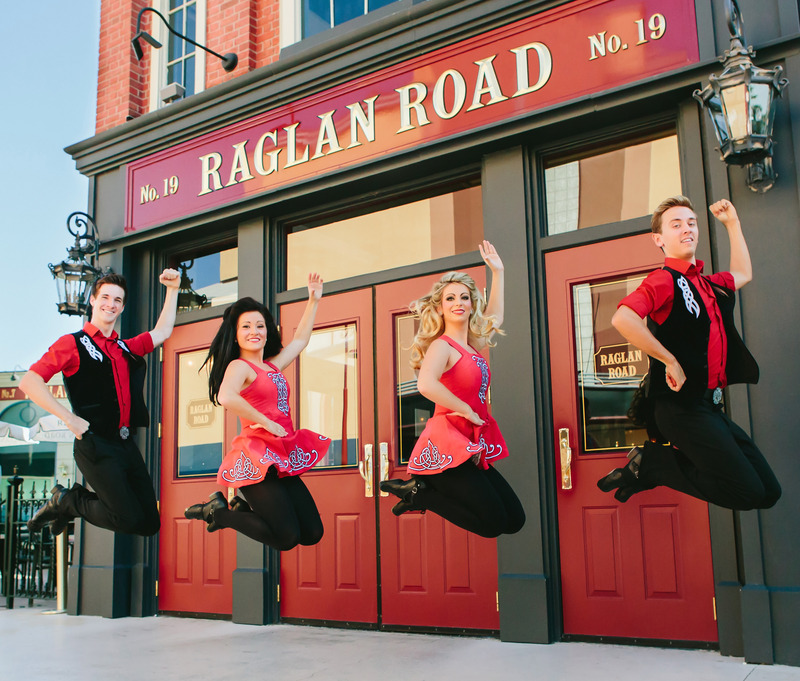 Ready for a little “Pilgrim”-age to Hollywood Studios? Sorry — I had to. 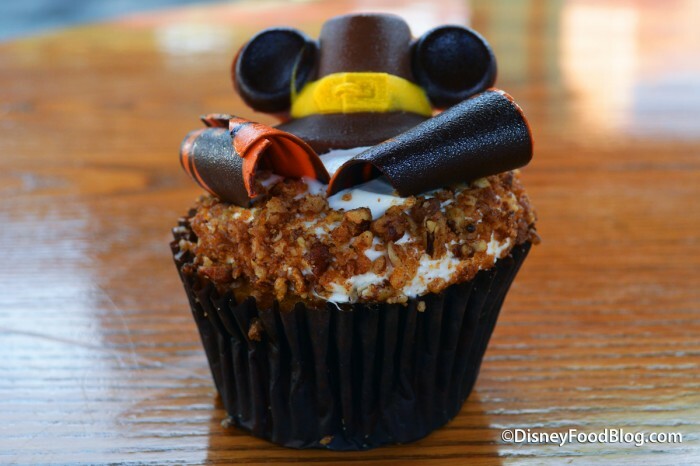 We are back again with yet another delicious new disney cupcake over at DHS. Replacing the Halloween Carrot Cake Cupcake is the all new Thanksgiving Pumpkin cupcake! These can, as usual, be found at many of the quick service spots around the park. Keep in mind that Rosie’s All American Cafe and Catalina Eddies’s are currently closed for renovations! We found this one at Fairfax Fare. Can you believe that just a week from today, we’ll be digging into all of those familiar Thanksgiving favorites? 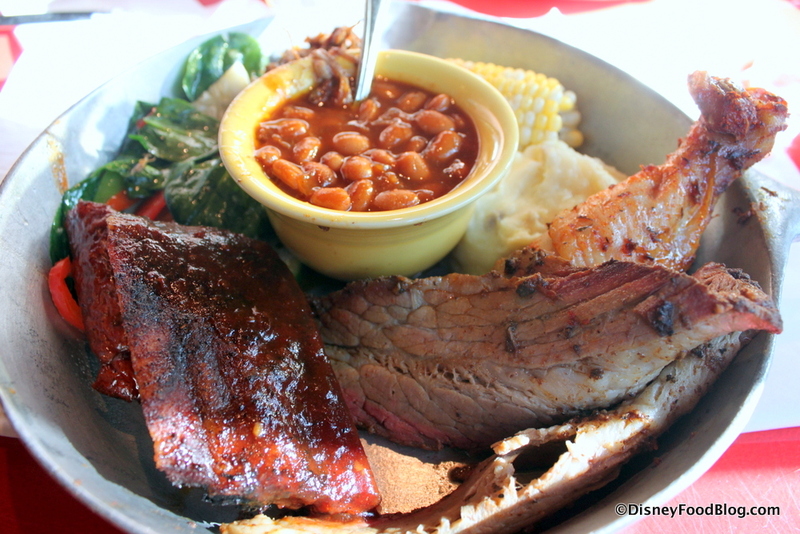 A meal like that is worth celebrating with an installment of Disney Food Pics of the Week! If you haven’t already, check out our Flickr page — Disney Food Blog Photo Extravaganza — where DFB readers share all of their Disney Food Photos. Want to add to the delish? Just head over and post your pics for a chance to have them featured in our Disney Food Pics of the Week Series! Let’s take a look! One of my absolute favorite restaurants in all of Walt Disney World is Liberty Tree Tavern in Magic Kingdom. 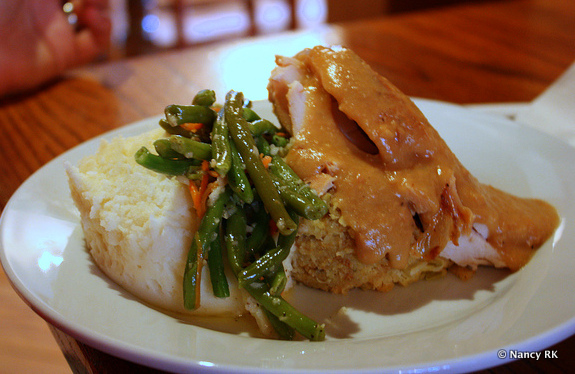 And this time of year, who can pass up the chance to eat the Pilgrim’s Feast? 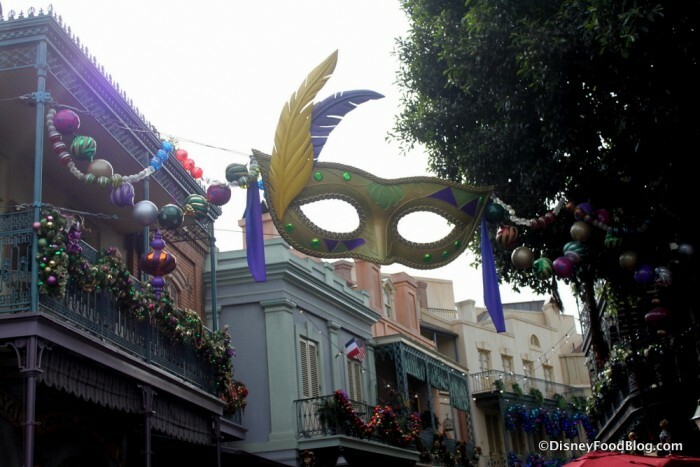 The 2012 Disney World Turkey Crawl! Sad to say I won’t be spending Thanksgiving Day strolling down Main Street or awaiting my turn in Cars Land. 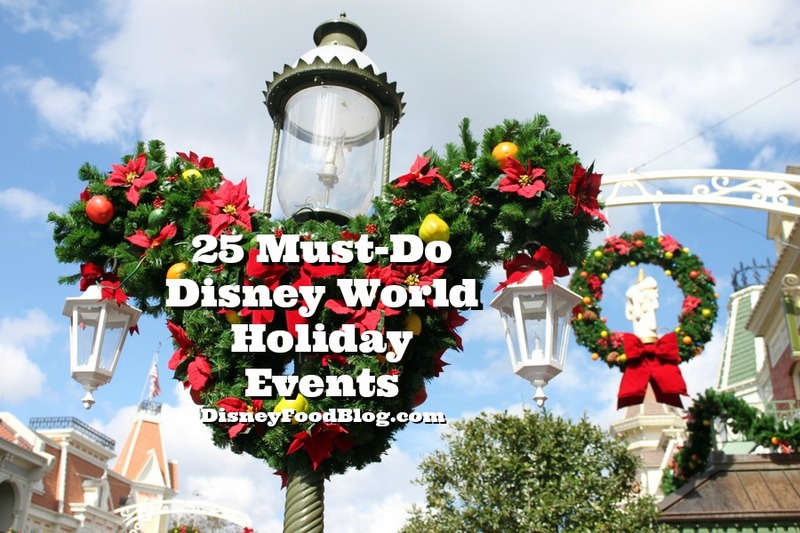 But that doesn’t stop me of dreaming about all things turkey — and more precisely, all things Disney turkey! You know how much we lurve a good crawl around here, so if you love turkey, I say skip the fancy sit down dinner and take a more progressive approach to your fall feast with the 2012 Disney Food Blog Turkey Crawl! Since we know you have many foods to happily consume this holiday week, we are limiting the challenge to only four stops with a whole lot of latitude. However, there are definitely some other favorites that would be perfect additions (Earl of Sandwich Holiday Turkey Sandwich, anyone?)! 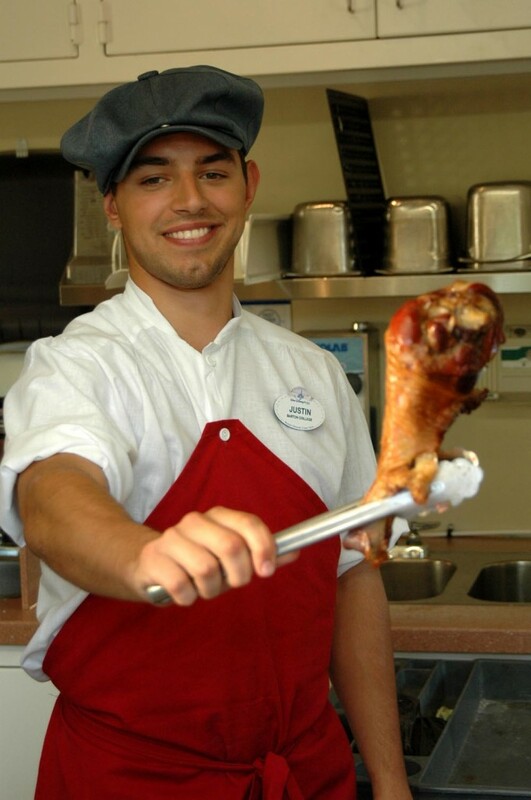 There is no way we could even suggest a turkey crawl without mentioning the quintessential Disney turkey treat: the Smoked Turkey Leg! Juicy, smokey, and big enough to count as a meal (or two), you may reach your turkey tipping point after consuming just one of these. You’ll find the primal treats in all four Disney World parks! When it’s time to move onto the sandwich course (is there such a thing?) 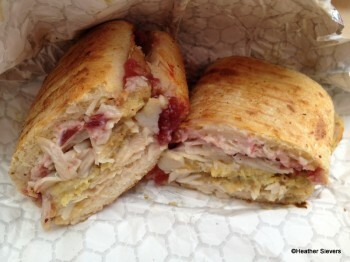 head over to one of my favorite places to grab a quick bite: Starring Rolls Cafe for the huge Turkey Foccacia Sandwich. 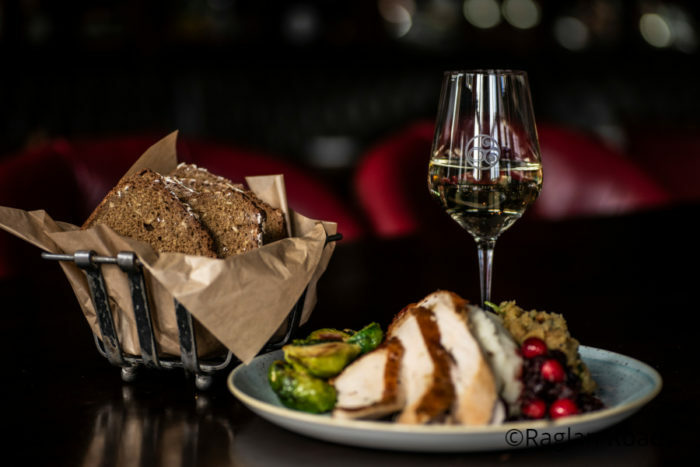 Join me in welcoming back guest author Aaron Crum as he takes us to the Liberty Tree Tavern in the Magic Kingdom for a family-style meal! 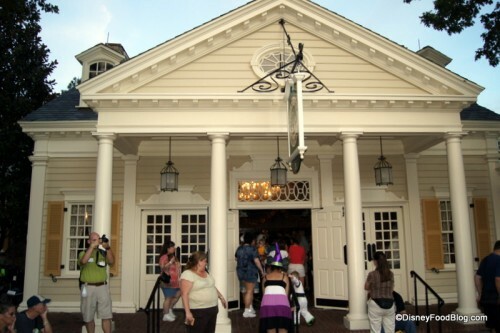 Imagine this: you are walking through Walt Disney World, and suddenly you find yourself immersed in colonial America. Not only are you reliving some of American history, you discover that it’s Thanksgiving Day and a feast has been prepared for you to enjoy. 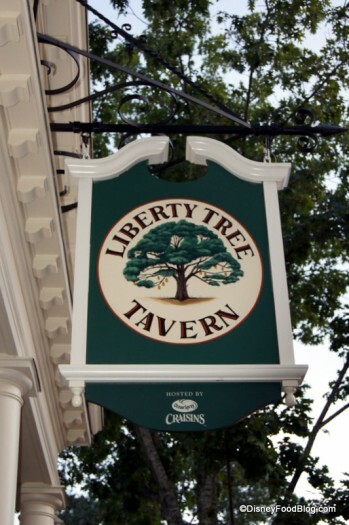 Welcome to Liberty Tree Tavern! Liberty Tree Tavern is located in the Liberty Square area of Disney World’s Magic Kingdom. 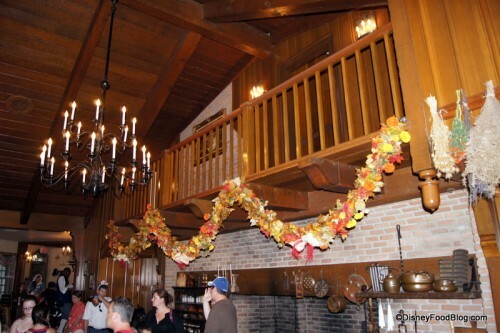 The lobby has somewhat of a “lodge” feel to it. There is a lot of exposed wood and very open spaces. When we visited, the computers were down, causing several delays and the restaurant to be extremely crowded. After waiting outside for our table to be ready, we were summoned to the lobby and taken to our table.